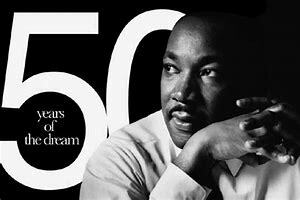 In recognition of the 50th anniversary of the assassination of Martin Luther King, Jr., SuzyKnew! is re-running an updated version of this article which first appeared February 2012. With both MLK Day and Valentine’s Day behind us, I’ve been reflecting on what a married friend shared with me a few years ago in confidence. She said her next love would have to be a man who participated in the US Civil Rights Movement during the 1960’s. She mused about divorcing her husband – the father of her only child – a man who is artistic, unique and a mathematical genius – and finding a truer, deeper love. The qualities her husband possesses provided her the love she needed in her late 20’s; but years later, my friend, who came to the US as a young girl, finds it’s not the basis of the lasting love she is in need of to take her through her 40’s and beyond. Today, she needs a love that will excite her to her very core and have deep and true meaning, like the love provided by a man who has risked his reputation, livelihood and very life for the justice of his people and others. What she means is male activists in the Occupy Wall Street movement didn’t take the same risks. Yes, the cause was – and is – noble. But, most likely the man occupying Wall Street was there because he had already lost his job – or his house. So, he had nothing more to risk by occupying Wall Street. And, if he did have a job, in all probability he was not at risk of losing it – or his life – because of his activism. Martin Luther King, Jr and the the civil rights leaders of the 1960s put everything on the line to change society. Because of them, Blacks, other minorities and whites from working class and ethnic backgrounds have more rights and freedom today. For my friend, who confronted racism as a young mixed-heritage immigrant girl, only a man who could take such risks – and show that deeper love for all humanity – could provide real, true love that would touch a woman’s very core… forever. But, civil rights leaders are now in their 70’s, and 80’s and are dying out. Maybe my friend would be moved by a man who participated in the Arab Spring. Egyptian, Tunisian, Libyan, Syrian and other Arab men put their reputation and lives on the line. But, now several later, the hope of creating a better and more democratic Arab society is being replaced by incredible despair, as the tragedy of Syria continues to worsen, and autocratic leaders solidify their grip over Egypt and Turkey. Today, 5 years after the killing of Michael Brown by Ferguson, MO police and the emergence of the Black Lives Matter Movement after the shooting of Travyvon Martin in 2014, US Black men continue to be recklessly slaughtered by the police, in spite of increased awareness of the problem by mainstream society and municipal police departments. The most recent victim is Stephon Clark, an unarmed 22-year old father of two and the target of 20 police shots while in his grandmother’s backyard. Fifty years after the assassination of Martin Luther King, Jr, something has gone very wrong. In many ways, it’s like living a surreal and new version of the Emmett Till story over and over again. Almost daily, we are being confronted with in-your-face injustices. We are all being called to take action. My friend may find a man in her inner circle who is answering today’s call to lead and fight for justice. Maybe she will be inspired by him and others to actively demonstrate love and hope in the face of hate and despair. Or maybe the true love she is really looking for is a true love for herself and she is the one who is called to be a civil rights leader. It takes passion, commitment, and the true love of humankind. And, you may have to put everything at risk. True love comes in many forms. And, men like Martin Luther King, Jr and others dedicated themselves to loving all of humankind – not just one woman.